It is very simple to export data to CSV format, which can be opened in Excel. Let’s look at each data type separately. 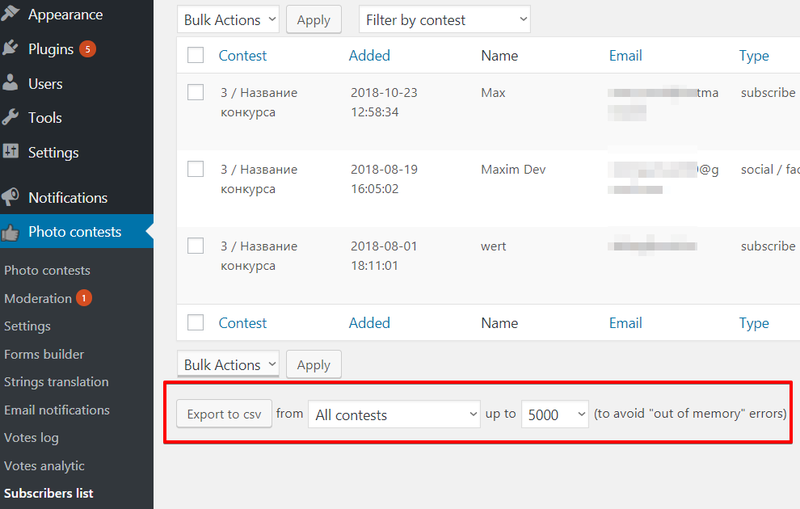 To export the competitors, go to the contest settings, find the button “Export all photos to CSV”. 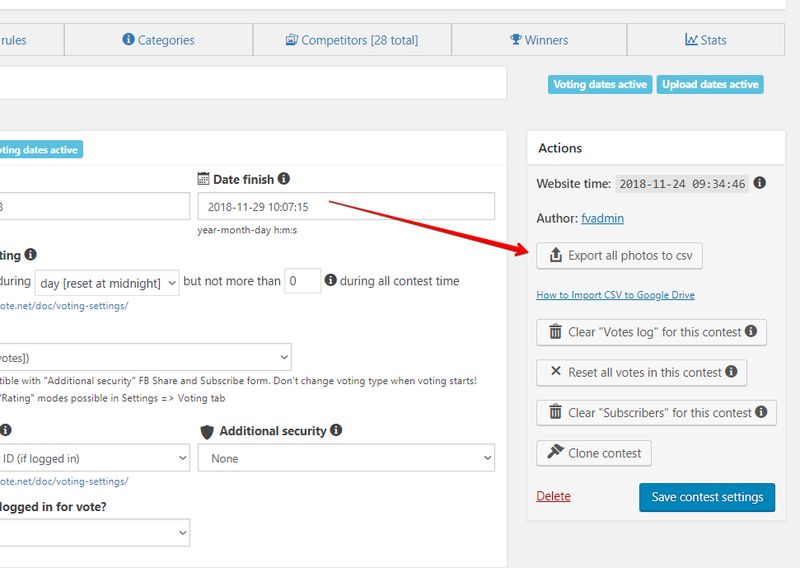 To export votes or subscribers, go to one of these menus, scroll down the page. 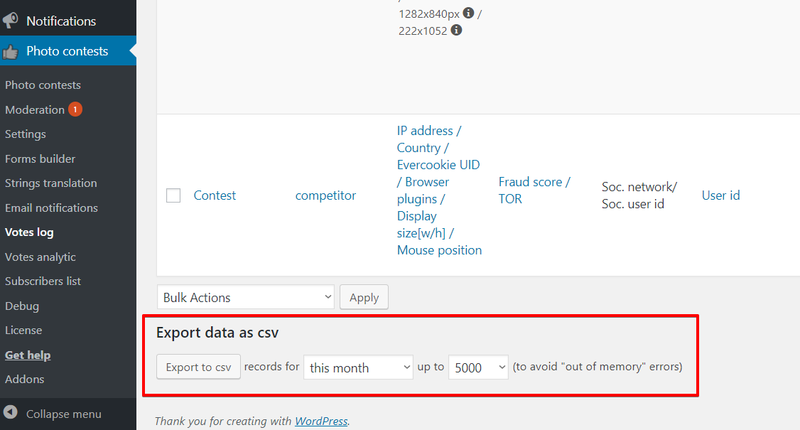 We will see a section where we can export the necessary data, indicating the number of rows we want to upload, as well as other parameters.